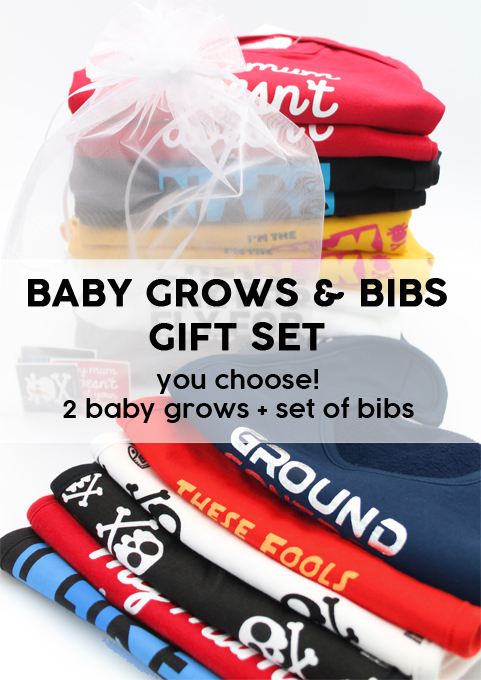 Create your own funky baby gift set, choose from our fun & unique baby grows & bibs to make your own gift set & give them the best baby shower gift by far! 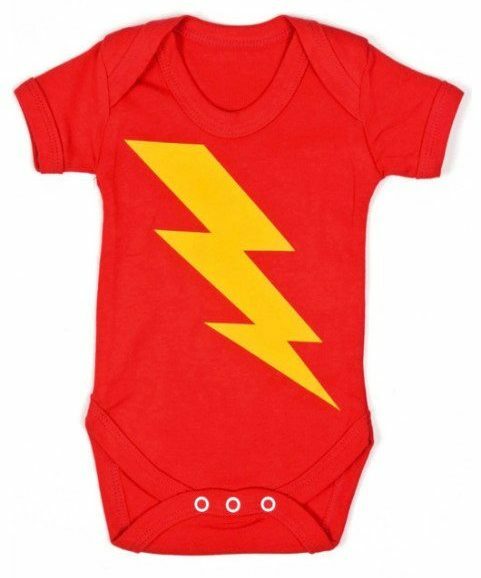 Choose 2 of our fun baby grows & a set of 2 bibs & we’ll lovingly bundle it together in a free organza gift bag with stickers & a blank tag to write your message, ready to give to the lucky new parents! 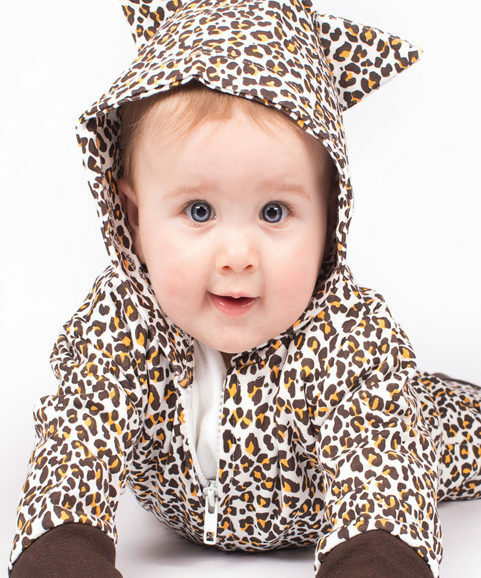 Our unique baby vests are made in the UK ensuring supreme quality. 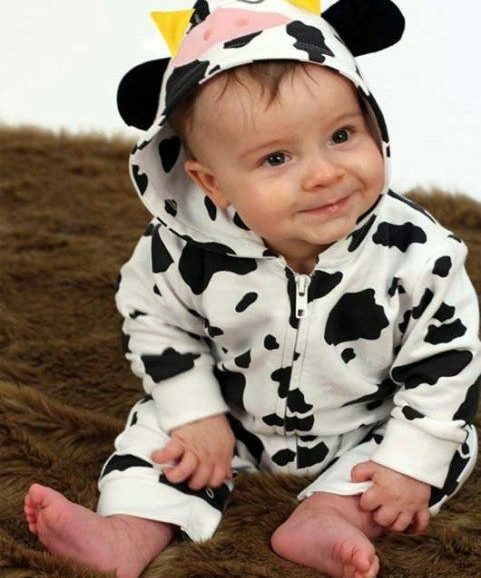 Baby grow sizes 0-3 months or 3-6 months, 6-12 months. A perfect baby shower gift set for funky & fun boys & girls. 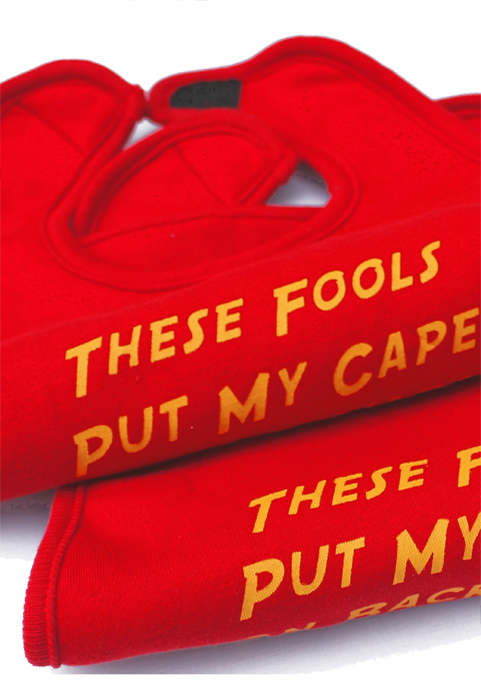 Save the baby shower from bland & bore in one swift move with our THESE FOOLS PUT MY CAPE ON BACKWARDS funny baby gifts set. 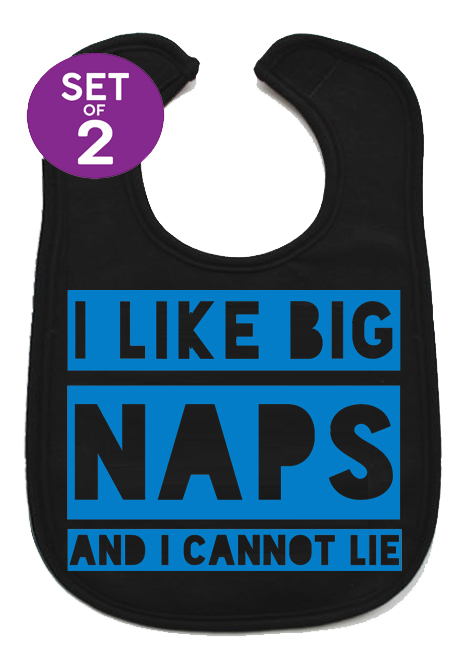 Absorb spills & keep those trendy baby threads food free with a soft thick cotton front. 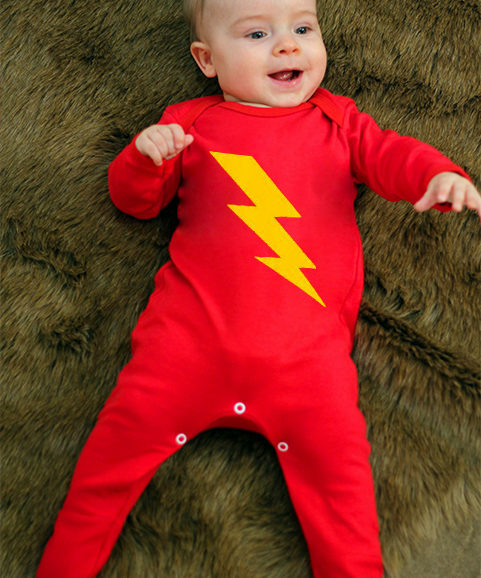 Luxury soft fleece polyester back keeps your little hero’s chests dry. Velcro fastening gives a range of size settings meaning it grows with your cool kid. Trademarked slogan in bright yellow contrasting against the soft red cotton packs a punch in the style stakes! 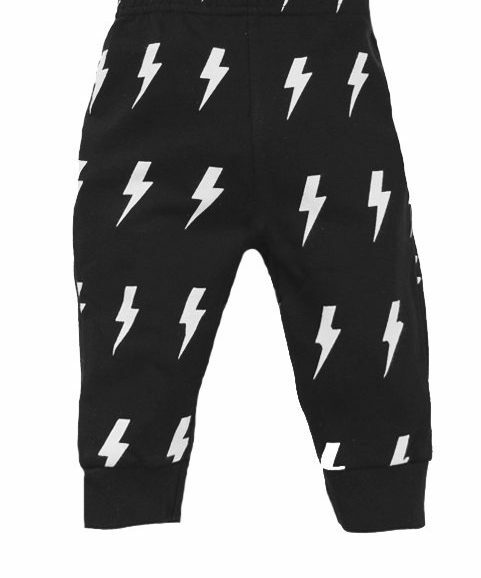 With these cool kids trousers give your cool kids outfit a trendy alternative twist in an instant! Easy care & soft cotton. 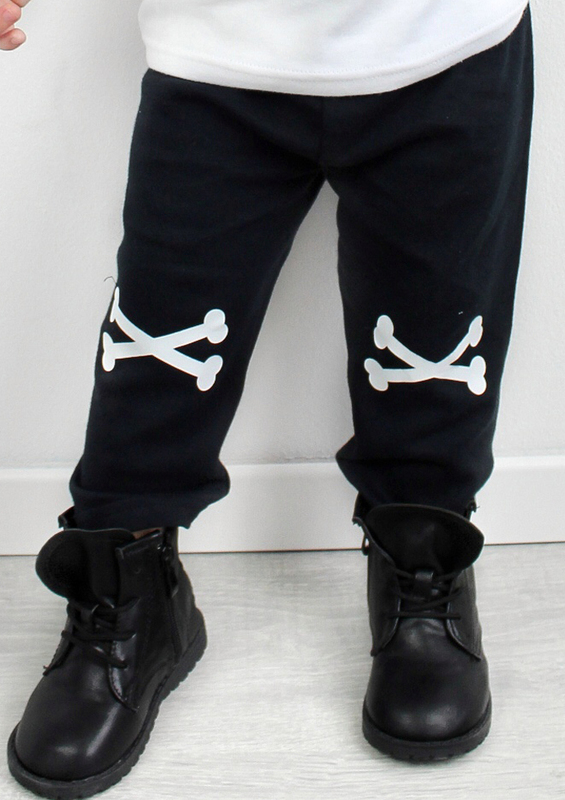 Super cool crossbone knee detail for a trendy alternative twist. Vibrant white print to knee that stays looking bright wash after wash.
A perfect & subtle addition to any budding alternative kid’s clothing collection. 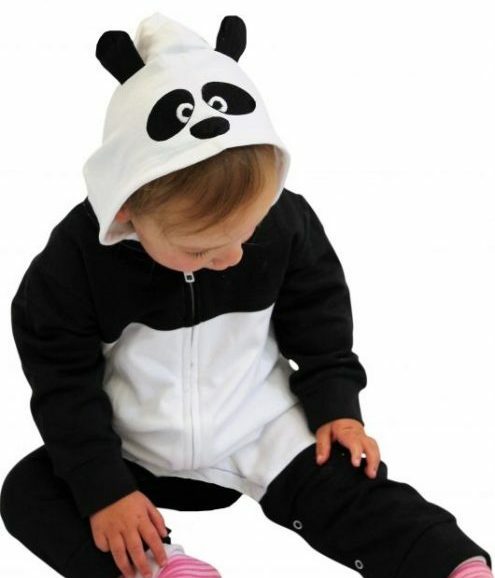 Sizes 6-12 months, 1-2 years, 2-3 years, 3-4 years. In this effortlessly cool kids t-shirt emblazoned with a fun twist on your old favourite songs, your trendy tot will be ready to dance in Uno, dos, tres, cuatro, cinco, cinco, seis. Luxuriously soft black & white cotton. Long sleeve raglan style, effortlessly awesome. Made in the UK ensuring the BEST quality! Trendy monochrome print inspired by The Offspring’s most famous lyrics. 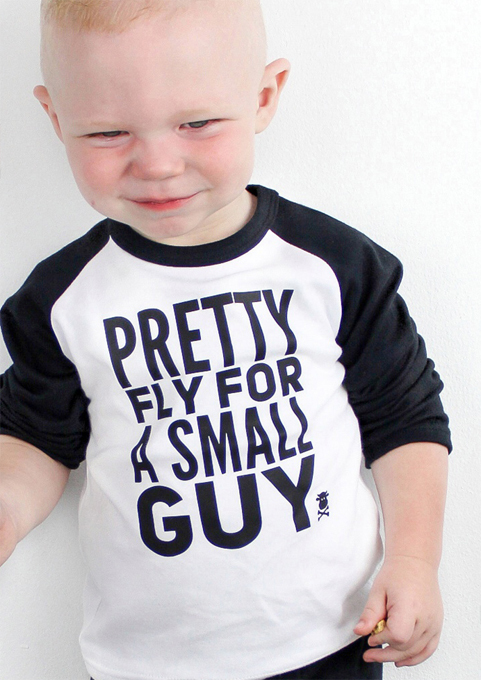 Trademarked slogan reads PRETTY FLY FOR A SMALL GUY. And if you don’t know, now you know bubba… this funky hip hop kids t-shirt emblazoned with your favourite hip hop lyrics will effortlessly keep your kid reachin’ for the stars! Print reads AND SHE LIKES TO SHOW ME OFF OF COURSE in bright blue & cerise. The funny Biggie Smalls inspired slogan guarantees to raise a smile, Making this funny kids t-shirt the perfect funky kids gift for the little hip hop fan, mum & dad! 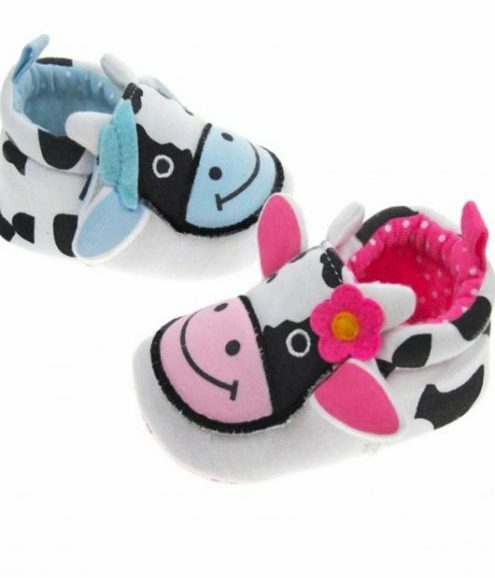 Toddler & kids sizes 6-12 months, 1-2 years, 2-3 years, 3-4 years for boys & girls. Our much loved skull & bow alternative baby dress in a new shade for 2018! Awesome & super trendy skull & bow print to front with a cute little ribbon bow feature. 2 little pockets to front. Soft easy fit cotton keeps her comfortable & smiling. 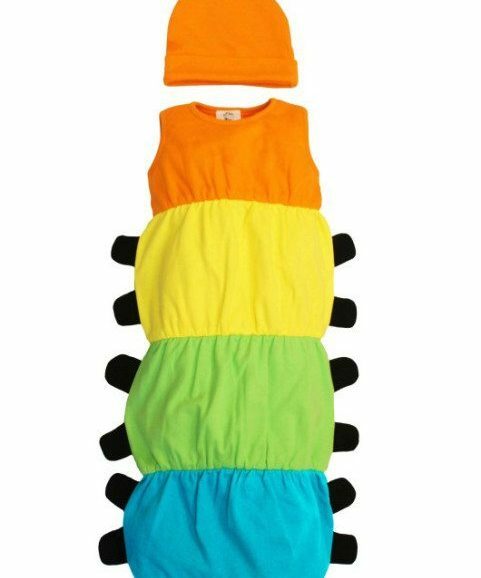 You’ll find it easy & quick to dress her, Pop it over her head & baby or toddler is ready bop to the punky beat! 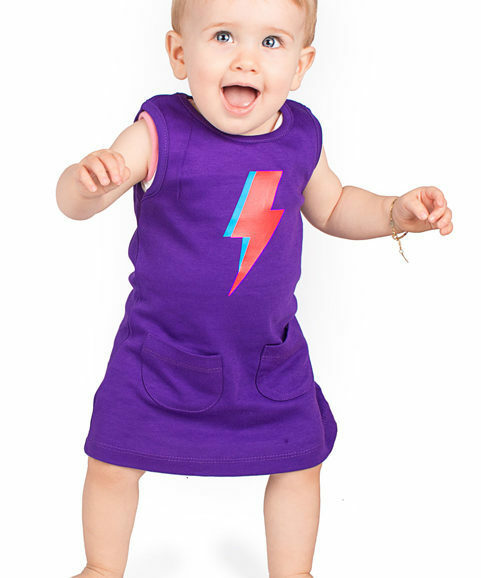 In this funky girls dress will add a little music inspired into your baby girls cool clothes collection in 2 beats! Awesome funky DJ headphone print around neckline. 2 little pockets to front to keep notes of all the newest hits. Soft easy fit cotton keeps her comfortable & happy.